Do you envy those worldly explorers that always seem to have an amazing story up their sleeve? Let Wotif help you plan your vacation to Kiama, and you'll have plenty of yarns to tell when you get back home. Around 12 000 individuals call this locality home. This area can be found about 95 kilometres from Sydney, the state capital. It's also approximately 3 kilometres from Kiama Downs. If you and your kids are tired of ticking off famous buildings, Saddleback Mountain is the best spot to enjoy a stroll through nature. Visit the Pilots Cottage Museum to learn about the different things that have made this area what it is today. Travel is an enticing idea because there's no two places that are exactly alike. The less-known attractions in this area are also an integral part of the unique collection of things to see and places to go. Probably the most agreeable options are Kiama Blowhole, Little Blow Hole or Blowhole Point. 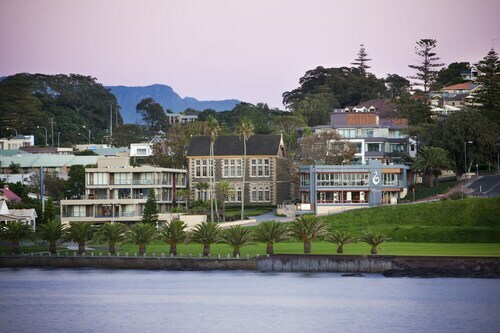 Situated on the waterfront, this hotel is within a 15-minute walk of Kiama Leagues Club and Kiama Blowhole. Pilots Cottage Museum and Kiama Surf Beach are also within 15 minutes. Kiama Station is 7 minutes by foot and Bombo Station is 19 minutes. 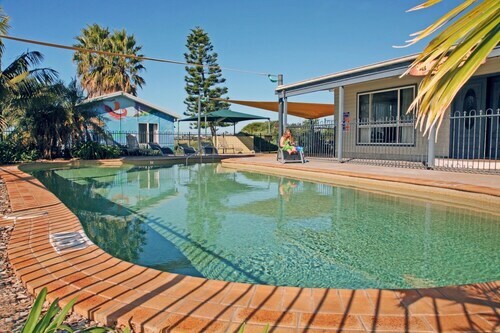 Located in the heart of Kiama, this motel is within a 15-minute walk of Kiama Leagues Club and Kiama Blowhole. Crooked River Winery and Jamberoo Action Park are also within 16 mi (25 km). Kiama Station is 8 minutes by foot and Bombo Station is 18 minutes. Offering direct access to the beach, this Kiama campground is 0.6 mi (1 km) from Kiama Surf Beach and 1.5 mi (2.4 km) from Kiama Blowhole. Little Blow Hole and Pilots Cottage Museum are also within 2 mi (3 km). Kiama Station is 22 minutes by foot. 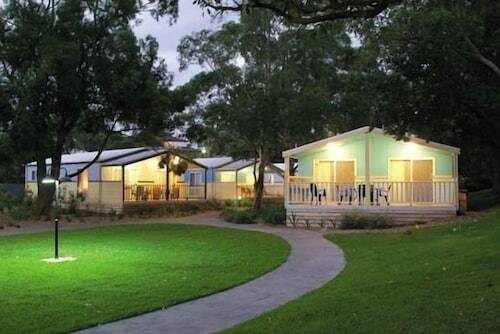 Offering direct access to the beach, this Kiama campground is in a shopping district and within 1 mi (2 km) of Kiama Surf Beach and Kiama Blowhole. Pilots Cottage Museum and Kiama Leagues Club are also within 1 mi (2 km). Kiama Station is 11 minutes by foot. 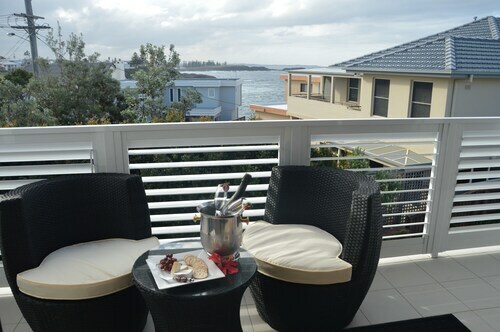 Situated on the waterfront, this bed & breakfast is within 1 mi (2 km) of Little Blow Hole and Kiama Surf Beach. Kiama Leagues Club and Kiama Blowhole are also within 3 mi (5 km). 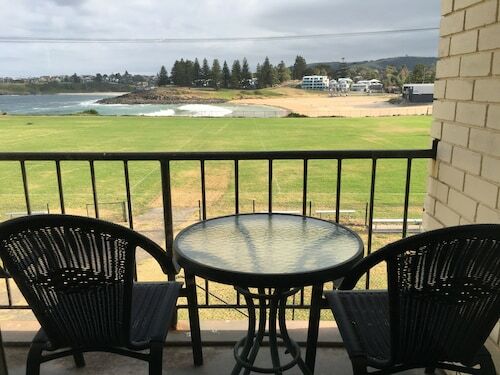 Situated by the sea, this motel is within a 15-minute walk of Kiama Surf Beach, Kiama Blowhole, and Kiama Leagues Club. Kiama Station is only a 3-minute walk and Bombo Station is 29 minutes.